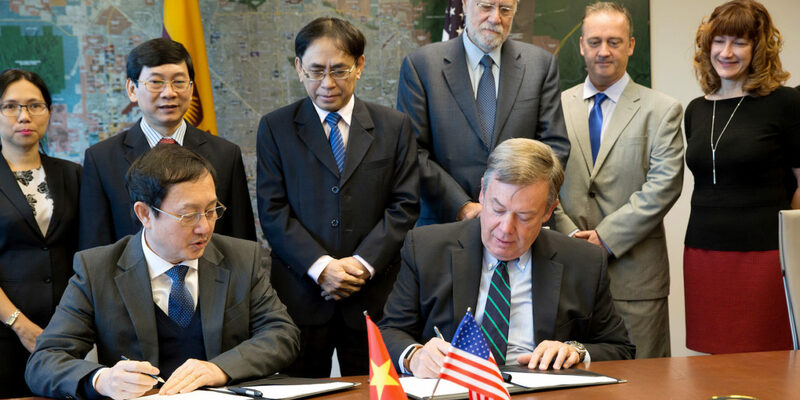 Arizona State University and Viet Nam National University Ho Chi Minh City are forging a long-term agreement to pursue an array of collaborative ventures aimed at mutual goals in academics, research, global educational leadership and economic development. On December 18, ASU President Michael Crow and VNUHCM President Huynh Thanh Dat signed a Memorandum of Understanding that paves a path toward establishing joint research projects, undergraduate and graduate studies programs, and faculty, student and academic support staff exchanges between the universities. The VNUHCM agreement also provides a general framework for exchange activities that will include visits by faculty and students, year-long study-abroad opportunities and faculty sabbaticals, as well as joint seminars, courses and workshops, and sharing of technical support and services. 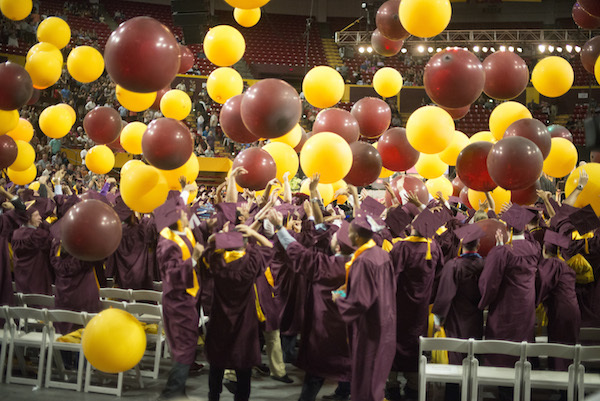 The new alliance builds on other ongoing related endeavors between ASU, VNUHCM and several other Vietnamese universities over the past several years. Those multifaceted efforts focus on elevating higher education in Vietnam, particularly in engineering, science and technology. Projects involve developing advanced curriculum and improving institutional quality assurance assessment to aid Vietnamese universities in attaining higher-level educational credentials and accreditations. Major objectives set forth in the VNUHCM agreement include creating a “toolkit” for that university’s post-secondary education quality assessment and building an education data center to support assessment projects. 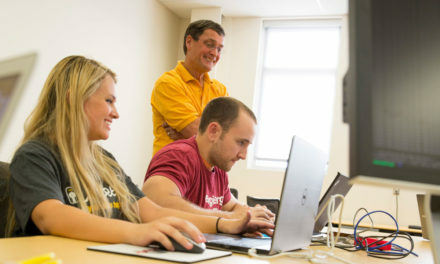 Aiding Vietnam’s efforts to upgrade its university education system so that it can supply a better-trained workforce and boost the country’s economic outlook helps to strengthen key U.S. governmental and marketplace relationships in Southeast Asia, says ASU President Michael Crow. The first major undertaking will be planning and development of a National Assessment Project to evaluate the quality of higher education in Vietnam. Inspired by ASU’s New American University strategy, the Vietnam National Assembly Chairman for Education asked ASU leaders to support Vietnam in its efforts to improve access to its universities in addition to ramping up educational quality. The outcome of the assessment, along with specific recommendations for initiating improvements, will be presented at a national conference in October. The delegation of 10 Vietnamese education leaders that attended the memorandum signing at ASU included a member of Vietnam’s National Assembly Committee for Culture, Education, Youth, Adolescents and Children. The committee is responsible for the monitoring and evaluation of Vietnam’s education system. Vietnam’s government wants to see its education system advance to a level where it can help to meet the requirements for the industrialization and modernization necessary for the country to succeed in an international market economy. VNUHCM President Dat views the collaboration with ASU as particularly pivotal in Vietnam fulfilling the quest to modernize its higher education system. Dat and a contingent of Vietnamese education officials have been on an extensive trip across the United States, visiting San Francisco, the Boston area — including Harvard University and the Massachusetts Institute of Technology — and Washington, D.C., before coming to ASU. “We came here to learn about the American higher education system so that we can adapt it to our university and to the Vietnamese system. “We are trying to do everything we can” to achieve that transformation as completely as possible, Dat says. 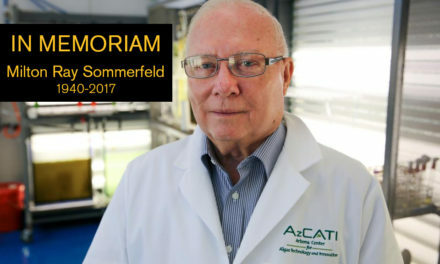 He emphasized that the joint ventures with ASU will help Vietnam education leaders institute a more advanced university governing system, including improvements in administrative practices, financial management and fund-raising strategies, as well as cultivating entrepreneurship and the generation of business startup ideas from within research and academic programs. 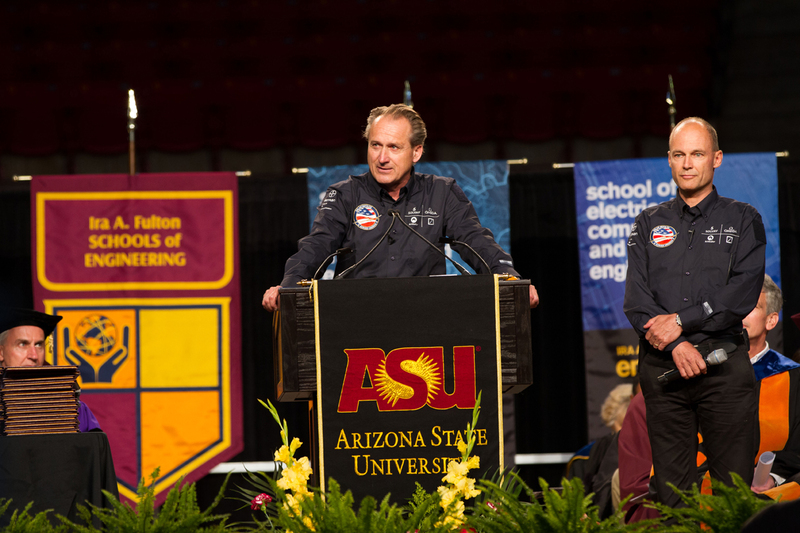 The memorandum signing ceremony was hosted by the office of Global Outreach and Extended Education in ASU’s Ira A. Fulton Schools of Engineering, which has been at the forefront of ASU’s collaborations with Vietnamese universities in partnership with the U.S. Agency for International Development and major industry partners. USAID also sponsors the BUILD-IT Alliance at ASU, which is leveraging government, industry and academic partners to match science, technology, engineering and math instruction at Vietnam’s higher education institutions to the needs and capabilities of the country’s key industries.